Citizens have many ideas for their city, but it is hard for them to have their ideas realised. People wish to get more involved and claim more responsibility in city planning. The city needs to take full advantage of this change in society and exploit the possibilities provided by new digital technologies. 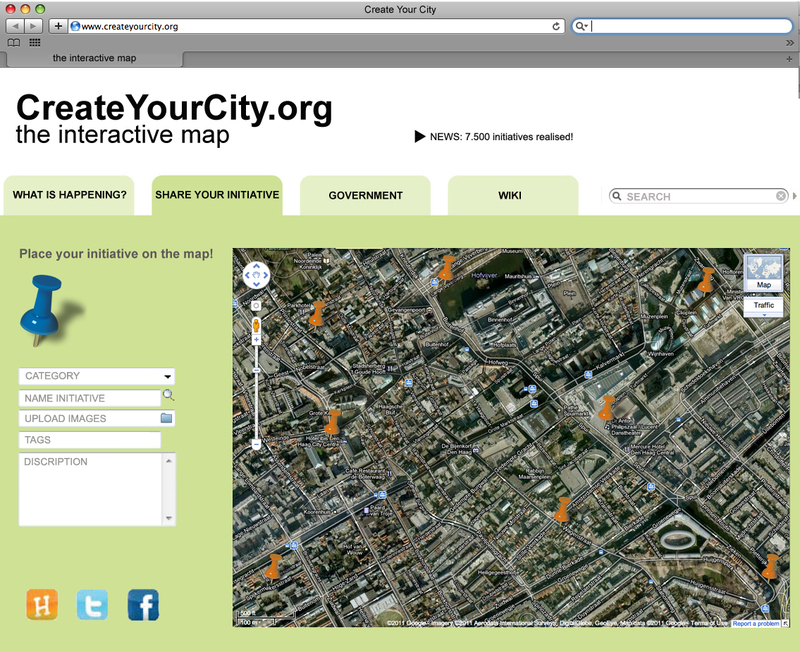 The interactive website “createyourcity.org” breaks with traditional city planning and facilitates new ways of planning. The initiative creates a platform for citizens, stakeholders, professionals and municipality. New ways of interaction brings all these different parties together in a way that stimulates the development of well supported plans that will be carried out. [S!MPL] tries to “close the gap between the needs of citizens and companies, and designers and developing parties.”, as said by Architectenweb. ‘createyourcity. org’ is based on the knowledge and experience we’ve gathered from participating in research lab “Vrijstaat” initiated by the Dutch goverment Buildings Agency and CreateYourTheHague.com at TodaysArt Festival 2011. Nowadays there is a lot of tension between municipality – bound by procedures for urban development and communication – and citizen, who expect more participation and responsibility. Society has changed dramatically. Tight budgets have allowed for less completed projects and the need for participation with citizens and private investors has grown immensely. The traditional channels used by municipalities are no longer valid; information isn’t reaching citizens. Dialogue starts too late when construction is already underway. Citizens only have the option to complain when plans are already finalized. This doesn’t leave much room for participation. A new initiative to promote a dialogue with citizens was employed in an urban development project for the Municipality of Melbourne, Australia. The initiative was a huge success: ‘manage the conversation before it manages you’. The most important part of ‘createyourcity.org’ is an interactive map, where enthusiasts, governments, architects and other professionals can post their ideas and plans. Through social media (facebook, twitter, etc.) people can react to these plans. 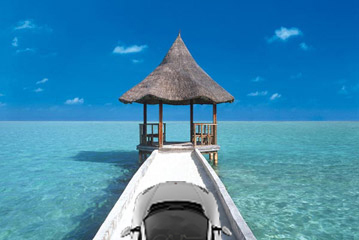 When an idea or plan has been sufficiently developed and has gathered enough support, they can be realised. The interactive google map has many layers, like: a layer for ‘new initiatives’, a layer for ‘empty plots’, a layer for ‘urban plans’ and a layer for ‘urban problems’, etc. Anne would like to have her studio at the waste site around the corner of where she lives and places her idea on the map. A lot of people in her neighbourhood react positively to her plan and entrepreneur Frank would even like to setup a small design shop there. Several building teams have come up with plans that include these functions and place their sketch designs on the website. The owner of the waste site is enthusiastic and even the municipality would like to participate. Eventually the plan was realised with studios, design shop, jazz cafe, conference center and even a green garden on the roof. A totally new way of creating your city. It’s the urban dating site for creative enthusiasts, citizens, municipalities and professionals.